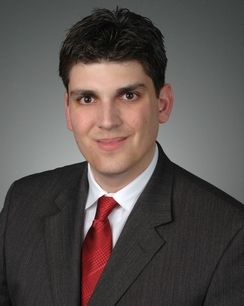 Jason Nash is a partner in HWW’s Advertising Injury Litigation Group. Jason’s practice focuses on the defense of complex civil litigation, particularly the defense of advertising injury disputes and commercial fraud cases brought by plaintiffs both individually and on behalf of a putative class. Jason represents the interests of his clients in courtrooms throughout the country and in all aspects of the litigation process, including trial, mediation and appellate practice. Obtained dismissal with prejudice of an automotive retailer accused of participating in a complex fraudulent scheme in violation of the federal Racketeer Influenced and Corrupt Organizations Act (“RICO”) and state consumer protection statutes; HWW’s removal of the case to Eastern District of California and the dismissal with prejudice was affirmed in a published opinion by the Ninth Circuit Court of Appeals. Defended a well-known jewelry designer and a world-famous fashion model from claims of trademark and trade dress infringement arising from the design of a line of jewelry products in the Southern District of New York. In addition, Jason is very active in the Chicago charitable community. Jason is the former Chair of the St. Procopius Legal Aid Clinic, a Chicago Volunteer Legal Services organization, and is a former member of the Associate Board of Directors of the American Cancer Society. Prior to his graduation, the University of Illinois College of Law awarded Jason the prestigious Rickert Award for Excellence in Oral Advocacy. Jason was also a regional champion and national finalist in the National HNBA Moot Court Competition, was awarded “Best Brief” in nationwide competition, and served as an editor on the HNBA Moot Court Board. Ninth Circuit Adopts the Last-Served Rule to Determine the Timeliness of Removal and Affirms Dismissal With Prejudice Secured by HWW. HWW Secures Dismissal With Prejudice of $44 Million Professional Negligence and Tortious Interference Lawsuit.